There’s only one week till Nashville returns and the previews shows everyone picking up right where the left off. There is no sign of Deacon in the preview at all! Rayna says something about doing a lot of letting go lately. Either Deacon didn’t want to stay with Rayna after the surgery or he’s the one that really died. 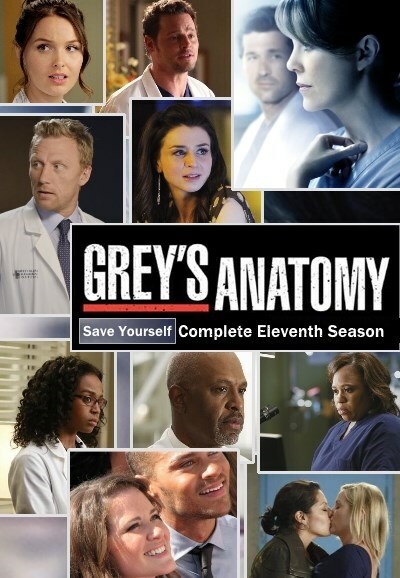 The only thing that gives me hope is the new poster for season four. It shows Juliette, Rayna and Deacon. Why put him on the poster if he dies? So maybe we can stop worrying about him. Maybe just worry about our favorite couple, Rayna and Deacon. Check out the new Season 4 key art. The passion, the music, the drama of #Nashville return next Wednesday, September 23. Things are either going to get even more complicated for Gunnar and Scarlett or maybe they can finally get back together. She tells him she has a boyfriend, but he says she keeps ending up there with him. I love these two together and I hope this will be leading them back together. Juliette looks to be coming to her breaking point. She’s having a ball with guest star Steven Tyler, but then she’s crying in the bathroom and Rayna knows something is seriously wrong. Avery is just hoping she’s happier without them. A lot of questions are left unanswered in the promo. But when has a Nashville preview ever led us to the right conclusions? There’s always a whole lot of drama and this promo of season four promises just that. So close! They can’t deny their feelings anymore, they weren’t even on stage. It’s hard to forget the last moment of Nashville in the season finale, Caleb tells Rayna he has some bad news. All I could think of was, no it can’t be Deacon! We still don’t know if Deacon flatlined or if it was Beverly. Is it horrible that I’m hoping it was Beverly? That was the big cliffhanger of season three, but there was a lot of other things going down too. Juliette was getting ready to go on tour with Luke, despite her postpartum depression. She totally lost it at the end of the season. She recorded her album in 36 hours and when Rayna, Bucky and Glenn were worried about her, she fired everyone and went to Jeff. Jeff then took her to Luke and he signed her. Avery was desperately trying to reach his wife, but all Juliette cared about was her career. She threw a snow globe at the wall when Avery wouldn’t give her their daughter to hold, but she was in no condition to hold the baby. We saw a little glimmer of hope for Scarlett and Gunnar at the end. 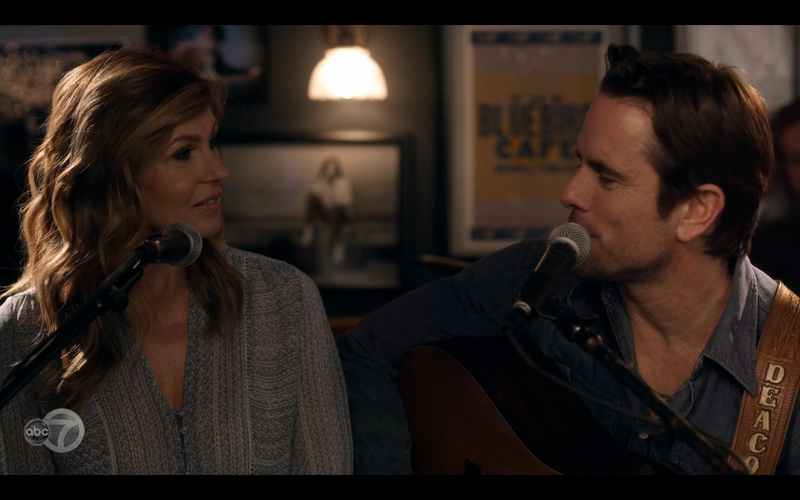 She wrote a song about Deacon and Rayna and the two sang the song together, and almost kissed! Scarlett was even crying. There’s definitely still feelings there, but she’s about to move in with Caleb and he’s heading to Texas with Kiely. Maybe they will change their plans. We can only hope. Teddy was having to answer for all of his mistakes. He wouldn’t build a case on Tandy and jeopardize Rayan’s business, so he’s being taken to prison. Teddy is seen on TV being arrested, but his girl’s miss this because they are hearing some very bad news. If Teddy being arrested wasn’t bad enough. Jeff and Layla’s relationship has been rocky since the start and it continues to be shaky. Jeff cut her off from everything. He even gave himself power of attorney in the contract that he had her sign. Layla finally gets a message from Rayna being worried about her and starts seeing what is really being said about her. She discovers that Jeff sent the tweet out at Jade’s party. His answer to all of this is that he just doesn’t want to lose her. Maybe it’s true. I could believe he doesn’t know how to be in a functional relationship. There was one thing good that happened in this episode, Will finally came out. It was a roller coaster of a ride for him though. Luke was not happy at all when he found out. Will wanted to still maintain that he wasn’t gay and it didn’t help that his father was in town. Will set up a press conference to set the record straight. Kevin said Will was not gay and Will was going to continue with the same story, but he changed his mind when he got on stage. He decided to tell the truth. His father was furious, but he was finally able to be himself and tell Kevin that he loves him. But Kevin never said it back! That’s where all the characters left off in season three. 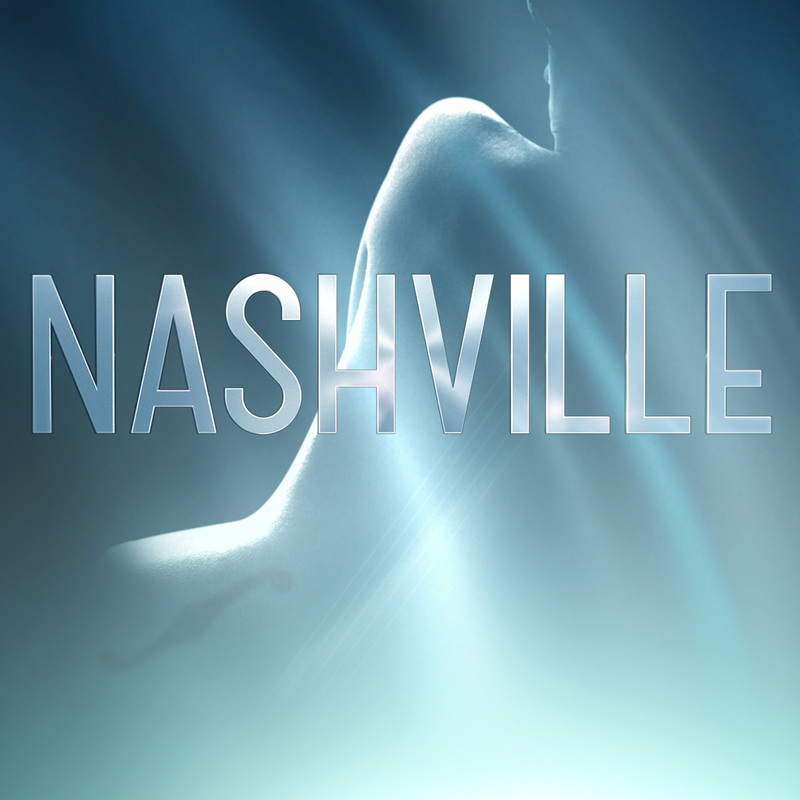 Nashville will return Wednesday, September, 23 at 10/9c pm on ABC. What is the bad news?! Are you seriously going to make us wait?! The writers are just so cruel. They are going to make us wait all summer to find out if Deacon is still alive. I understand cliffhangers, but this one is just cruel. Caleb has some bad news. So either Deacon is dead or he’s rejecting the liver. Either answer is not good. We can’t have another season without Deacon, so he has to be okay. He just has to be. Is it Beverly? Is she the one that doesn’t make it? Is it horrible for me to say that that’s what I hope that bad news is? This was a roller coaster of an episode. Juliette has absolutely lost it. She’s fired her manager and signed with Luke and Jeff. Can she even jump ship from Highway 65? Won’t there be legal repercussions for her? She still has a contract with Rayna. If Rayna didn’t have enough to deal with already, she now has to deal with her ex-husband getting arrested, which they miss because they are getting news of Deacon. Rayna will also have to deal with Juliette. When Juliette does get better, how will she feel about her actions? Going to Luke is in bad taste, not to mention unprofessional. The only reason Rayna wasn’t pushing to get things done was because she knows what it’s like to have a newborn at home. She was giving Juliette time to be with her little one. Most mothers would appreciate that. It wasn’t like Juliette was actually being mistreated. To top that off she goes to Jeff, the man that almost destroyed her and Avery’s relationship. No wonder Avery is upset. Jeff is strange. He claims he was afraid of losing Layla, so he sent the tweet and made her sign her life away. It’s just crazy. He was being so good with her and then all of a sudden Jade comes into the picture and he reverts to the Jeff I don’t like. I was really liking Jeff for awhile. He had hit a low point, but he really cared about Layla. He was being a better man. Now, not so much. Teddy is being a better man. He was trying to get himself out of a bad situation, then that meant hurting Tandy. He was hesitant about it, but continued on, until he found out that might ruin Rayna as well. He’s finally taking responsibility for his actions, but this still affects Rayna and especially Maddie and Daphne. Please say Deacon is alright. Maddie can’t lose two fathers in one day. I am so proud of Will. He didn’t have to come out. He could have just stuck to the script. That couldn’t have been easy with his father right there. Plus knowing as soon as he said it, his father would disown him again. But on the upside, Will was finally able to tell someone he loves them. I really like Kevin and I think they are really good together. I wasn’t happy with Luke when he was upset that Jeff never told him that Will was gay. That wasn’t for Jeff to tell him. 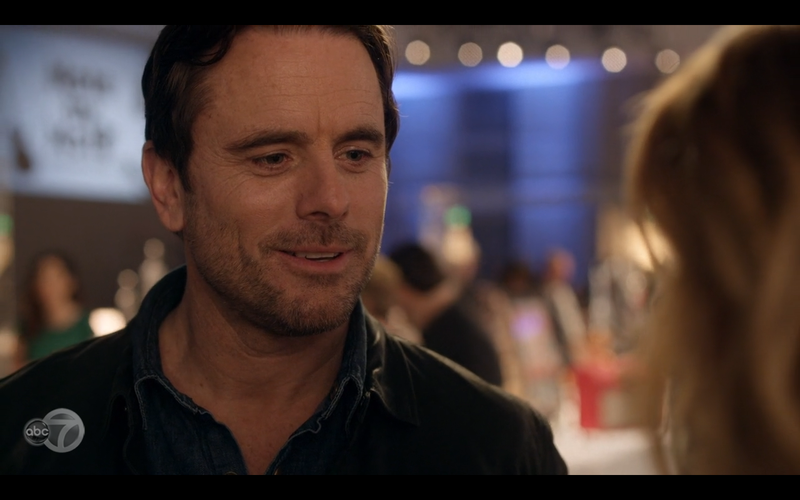 I think that if Will had signed with Rayna, she would have reacted with more compassion. I really lost a lot of respect for Luke in that moment. He gained some of it back when he side it was too bad because Kevin’s a good guy. That was better. I still can’t believe we have to wait all summer to fine out Deacon’s fate. It’s going to be a long summer. The stars of ‘Nashville’ perform incredible week after week. But that’s with multiple takes and cameras, not live in front of an audience. When they’re on stage with a live audience, they are even better. Clare Bowen, Charles Esten, Lennon Stella, Maisy Stella, Chris Carmack and Aubrey Peeples are touring eight cities and I was lucky enough to catch them in New York with Sam Palladio. Sam debuted a new song, Clare and Chris also played some of their own material. These actors are about to have some major singing careers. They are already very talented performers. Chris said his song could be released on iTunes any day now. Clare and Charles really stole the show. Clare was incredible. She really owned the stage while she was up there. You can tell she really loves being up there. Charles kind of acted like the MC of the show. He was doing a little directing at the end and thanking all the band members. He also thank the man that was giving all the stars the guitars throughout the show. The performers got to use so many different, beautiful guitars. Charles even convinced Lennon and Maisy to let him play guitar with them, just like he does on the show! It’s not hard to see why a lot of fans were excited to see these two young girls perform. Sam gave us a double dose of his music. One was slow and one was fast paced. Both were amazing! I particularly liked the faster paced song. It was nothing like Gunnar and it made me feel like we got a glimpse of the real Sam. My favorite of the night was definitely Clare, but I might just be a little biased here, because she is my favorite. She looks like she owns the stage and is really singing to the audience. Every week Scarlett amazes me on the show and in person, Clare had that same affect on me. She dedicated her song to the fans, because we should all be marching to the beat of our own drum. Sam joked that he would just continue tuning his guitar so he could keep hearing fans scream. The stars were really grateful to the fans. They thanked fans numerous times throughout the night. Chris, Charles and Sam were nice enough to take selfies and sign autographs with fans after the show as well. For the fans that were dedicated enough to stand waiting, in a colder than expected night, they got to meet their ‘Nashville’ crushes. The girls were going crazy. A lot of fans phones were going dead and they had to borrow their friend’s phone or ask a stranger to take a picture for them. Chaley Rose even snuck out the back with Sam. Are these two dating? She was nice enough to take pictures with fans as well. The other ladies of ‘Nashville’ slipped out very quickly and got into their cars and left. Granted it was past Lennon and Maisy’s bedtime at this point. 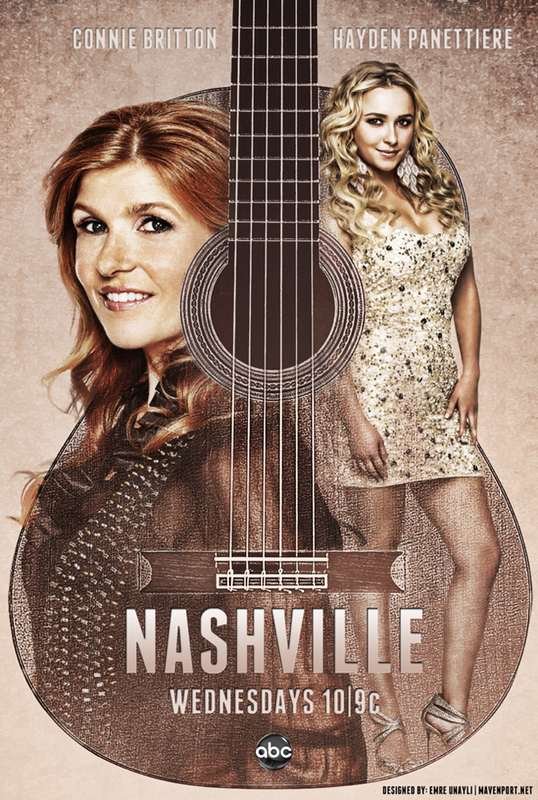 I hope ‘Nashville’ gets picked up for another season. I can’t wait to see them perform again next year! Juliette announced she’s back in a big way. If Beverly gives Deacon her liver after taking that money, Scarlett and Deacon are really better off without her. 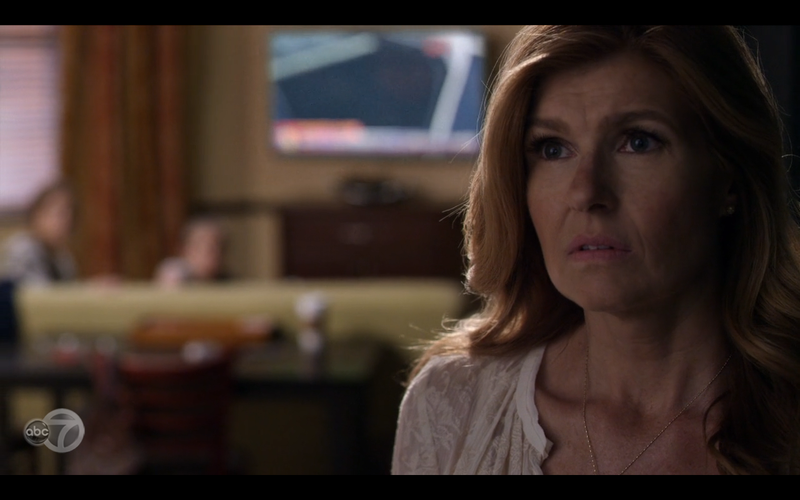 Rayna spent the entire episode pleading with Beverly to save Deacon. Beverly holds real resentment over Rayna. She thinks she lost her shot at the big time because of Rayna. Which probably isn’t true, she just didn’t have what it takes. As Scarlett knows, it takes a lot. It was very emotionally watching Rayna desperately try to save Deacon. It hit me really hard when Beverly said, “you save him” to Rayna. She was trying to save him, but Deacon’s own sister wouldn’t lift a finger. Scarlett would have given her liver, but she wasn’t a match, so then she begged her mother. She tried to get Caleb to ruin his integrity. She was doing everything. It didn’t help when Juliette broke down crying when Deacon told her. It was a very emotional episode and it was looking like Deacon was going to die. But with a million dollar check, I have my hope back. There’s no way Beverly will turn down the money, but will Rayna tell Deacon the truth? Deacon had a difficult day himself. He walked in on his daughter in a very compromising position. He handled it all pretty well though. I wasn’t so sure about him sending Juliette in, but that was a great idea! She wasn’t going to lie to Juliette and she was able to talk to someone about it other than her parents. Though Rayna will still want to talk to her. But what is up with Juliette? She can be good with Maddie, but she can’t do it with her own child? Did she forget she had a baby? Who did she think was watching her daughter all day? I was shocked with her telling Bucky to go to hell, but really that is typical Juliette. She had an amazing comeback performance that I’m sure will get everyone talking about her and remembering her. But why can’t she connect with her daughter? Layla is trying to get noticed too. And I think I agree with Jeff, I don’t like Jade. She’s being such a bad influence on Layla. She was kissing up on some star because people would want to know who she is. That’s not who Layla is, that’s not what he music is about. Her music is pure and meaningful. What’s she’s doing isn’t. Jeff has tried to convince her and now he’s crossing the line. He’s sending out a tweet that’s sure to get Jade kicked her off the tour. But really it’s for her own good. He’s protecting her. But will she forgive him? Kylie was back and begging for Gunnar’s forgiveness. I don’t like that she’s all of the sudden showed up. Yet another thing to tear Scarlett and Gunnar apart and we know there’s something there. She would have told Caleb who her friend was, if there wasn’t anything there. Looks like Teddy might get away with his crimes, but what price will he after to pay? The liver was just false hope for us fans! I guess we should have never thought it was going to be that easy for Deacon to be cured. The writers gave us hope and then they took it away. I was worried about Deacon from the beginning of the episode. He was coughing. Then he got the call about the liver and I thought everything would be alright. Well I thought that for a second. Then I thought, it’s too early in the episode for good news, something bad is coming. He had a fever of 100.5 and had to take tests to make sure he was up for surgery. Turns out it was just a sinus infection, so it was back on. Then when they took the liver out of the other guy, they found cancerous legions on the person’s lungs. They wanted to be safe, so the surgery didn’t happen. Scarlett is not handling this well. When Deacon had to take tests, she asked Caleb to persuade the surgical team to operate anyways, even though he could reject the liver if something was seriously wrong with him. Caleb said no. Scarlett later apologized to him for that. The one good thing that came out of this was Scarlett asking Deacon and Rayna how they continued singing even though it was so complicated. Rayna said, them being so complicated is what made the music great. So Gunnar and Scarlett are no longer looking for a replacement, they are just going to be a duo. Before Scarlett got the text from Deacon to go to the hospital, she was ready to give up on the band. No one was as good as Avery, so she wouldn’t pick one. Gunnar is finally in the loop about Deacon. It’s about time she told him. She needs more people to lean on. I wish Rayna had someone to lean on. She was praying for guidance at the end. Rayna has to be strong for Deacon and Maddie. There may be more going on with Juliette than meets the eye. She’s so terrified of losing her career that she’s fighting too hard for it. She made a scene at the charity event when she told Jade that she doesn’t belong in Nashville. Avery wants to be let in, but Juliette says she doesn’t understand what’s going on. Could this be postpardarm depression? Christina Aguilera’s character, Jade, is trying to break into country music. She wanted to do a duet with Luke to help convince her label that she should do a country album. He told her he didn’t have time, but would bring her to a charity event with lots of people in the industry. First Luke introduced her to Will and then Layla sat down and interrupted their conversation. Jade was very impressed with Layla when she opened for her concert. Jade told her she was hoping she would be bad because she didn’t want Jeff to be right. Jeff was not happy to see them talking. Christina Aguilera could totally do country. The biggest event of the night was auctioning off a performance on demand. Bucky was bidding on Juliette to perform, so she could get back on stage. But Jade decided to bid on Layla after she heard Juliette talking down to Layla in the bathroom. It was a very heated battle. Juliette even made Avery bid after he showed up to support her. In the end Jade bid $500,000 and Layla won. Juliette was so mad that she said some harsh words. Jade was upset, so Luke took her to the Bluebird to restore her faith in country music and even got her up on stage. She sang his old song, ‘Shotgun’. She continues with flattery and ends up pulling Luke into her room. Is Jade being a fangirl just so happy to meet her idol, or is she not as innocent as she seems? Jeff seems to know more about her than he’s letting on. He told Layla she uses people and then throws them away when she doesn’t need them anymore. Can we get more details? This made Layla realize that his feelings for her are true. Will said Jeff only likes her when she’s making him money, but Jeff was willing to give up a lot of money when he told her not to tour with Jade. Sure it could be wounded feelings as well, but what exactly happened between them? This led Layla to go back to him. Can they have a professional and personal relationship? Will may have found a real boyfriend. He’s been fooling around with Kevin, but now he wants to get more serious while he’s figuring it out. He hated seeing Kevin at the charity event with another guy. Kevin is completely fine with him figuring it out. They are just so cute together! Daphne felt a little hurt when her mother and sister ran off to the hospital to be there for Deacon. She really wanted to perform. So Teddy asked Luke to fill in for Rayna and have Daphne sing with him. It seemed a little awkward at first, him inviting her up. But her performance took away all the awkwardness. It’s a shame she doesn’t feel more included with Deacon and Maddie. She’s asked Teddy if she can move in with him, but it’s just a matter of time until his indiscretions come back to haunt him.